← Join me on Dec 14th to celebrate 1 year in the tree! 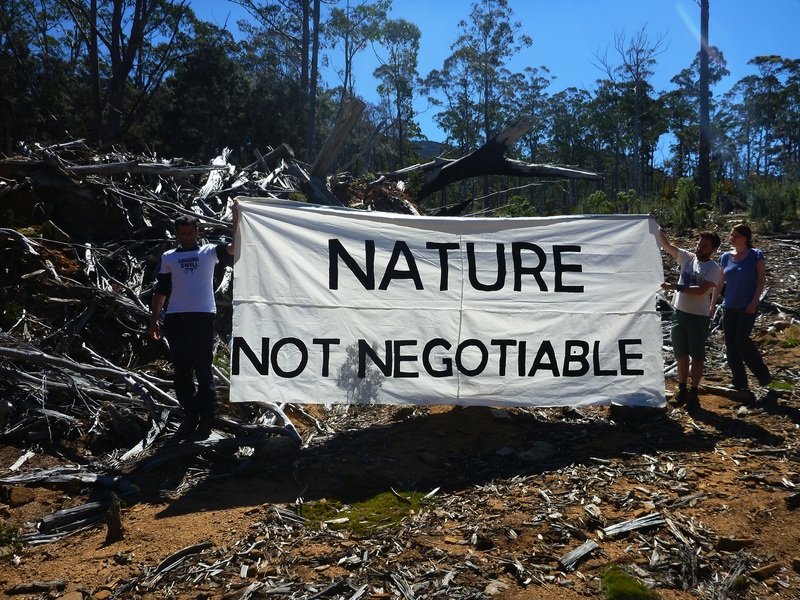 Emergency demonstrations in logging-affected communities around the country are taking place today, as conservationists call on the Prime Minister not to abandon environment and wildlife protection by finalising a closed-door deal with big business at the COAG meeting this week. 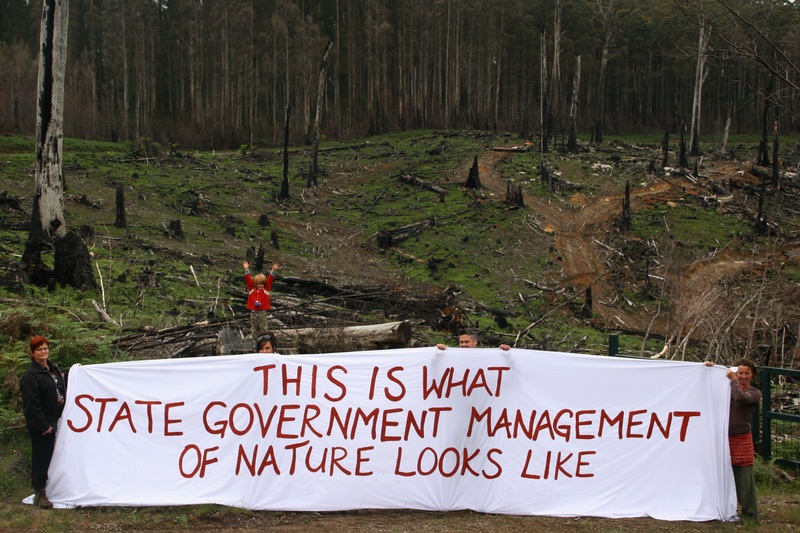 Community groups are holding banners in clearfells and forests devastated by logging in WA, NSW, Tasmania and Victoria, to show Gillard what environmental management by state governments looks like. COAG and the Business Council of Australia (BCA) both meet in Canberra this week and plan to weaken federal environment protection laws and hand powers to assess and approve development in environmentally significant areas to state governments. This leaves Australia without any federal oversight of damaging activity in these iconic areas. “Anyone who thinks that the Commonwealth should be able to transfer its responsibility for environmental protection to state governments and supervise at a distance need only have a look at the wholesale failure of the Regional Forests Agreements for an example of how disastrous this approach has been,” said Friends of the Earth’s, ‘Nature: Not Negotiable’ campaign spokesperson, Lauren Caulfield. 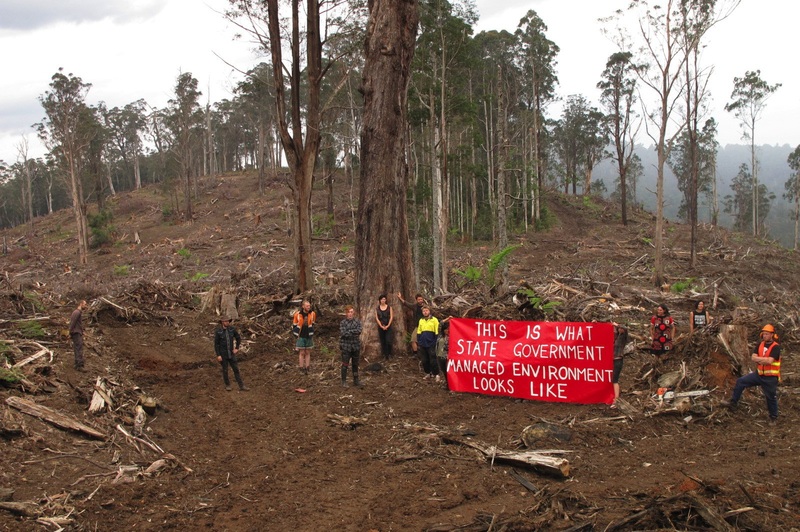 ‘Putting the states in charge of forest management has led to the devastation of forests around the country for export woodchips, the ongoing decline of threatened species, and a legacy of community conflict,’ said Jenny Weber, Huon Valley Environment Centre. ‘In Victoria we are facing an extinction crisis – including that of our own wildlife emblem, the endangered Leadbeater’s (fairy) Possum, as Premier Baillieu continues to allow the logging of its last forest strongholds,’ said Ms Caulfield. The proposed devolution of responsibilities under national environmental laws to state governments is similar to what we already have in place under Regional Forests Agreements, where the Commonwealth has entrusted state governments with protecting biodiversity. ‘These moves are a rampant attack on environment to protection and will take us 40 years backwards, leaving our iconic wildlife and wild places at the mercy of state governments with an appalling track record on environmental protection,’ said Miranda Gibson, in the Observer Tree. 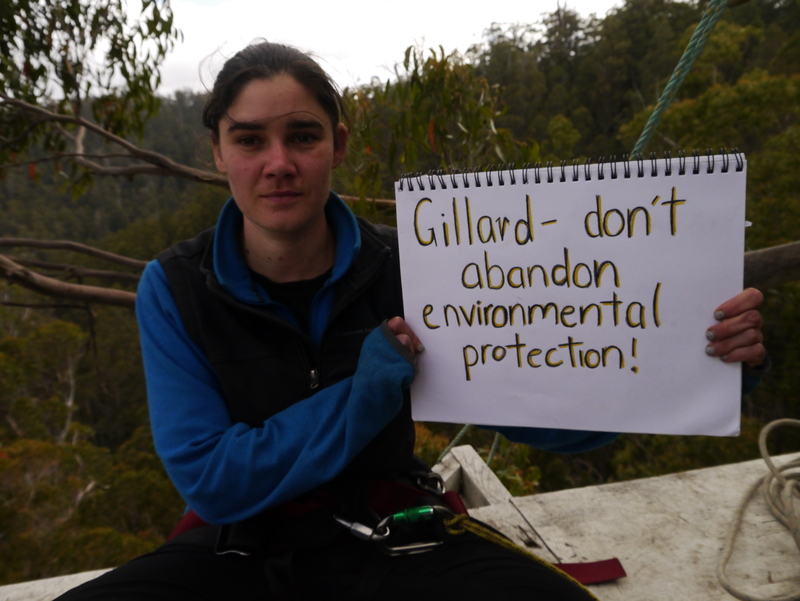 Tell Julia Gillard to keep environmental protection powers with the Commonwealth! Posted on December 3, 2012, in Media Releases, Photos. Bookmark the permalink. 2 Comments.